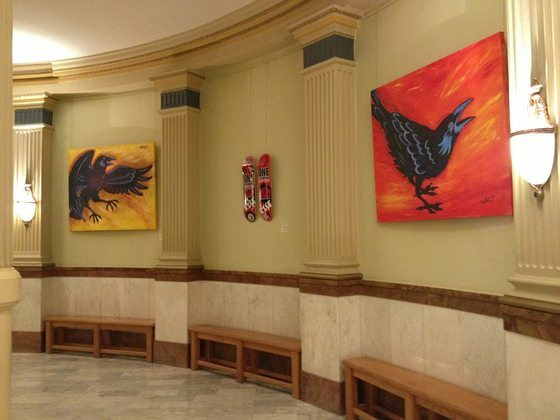 My good friend Andrew Iron Shell, wrote a very moving and powerful story from one parents perspective on the WK4-Directions TEB Skatepark built on the Pine Ridge Lakota Country Reservation via the Stronghold Society… please read it through, very moving and speaks to the core of our outreach. I took my family to the skate park in Pine Ridge. A place I knew of but had never went. In a town where basketball is king, the court was empty. It was more than the chill of a fall day on the Oglala Nation that kept the rim on the backboard cold. The ballers had found another escape. The skate park that almost didn’t get built, that is really only half done is a dream already fulfilled in those that utilize it. It was empowering for me as a father of six, as a community member who cares, as a make shift photographer with more film than income to hear almost in whispers the conversation of empowerment around me. Sound bites in the wind of the greatest get away ever. How many were there to experience this healthy refuge away from a home where for all the bad reasons we know, they may not want to be home? They treated each other as family as they skate. Respectful of each other by a bond made through the board they ride. They were not shy to help each other should they fall. I had a good day among them, reminded how human beings should be. I seen a picture painted different than what other brush strokes have created. Too many times these youth painted invisible by the back drop of White Clay, Nebraska just two miles away. The media says misery is where the ratings are. Reporters have to feed their own families, empower their own lives. How many papers can it sell. How many pages in a magazine? The power of life nurtured by this tiny stretch of cement bowls, obstacles to overcome for the surfers of the prairie carry more insight into the real power of our community than documenting the end of the trail known world wide as White Clay. A seed is buried in this skate park, it blooms everyday beyond the lens of what any camera can see. The root of our future is not in White Clay Nebraska as too many think it to be. My children went to bed tired and smiling that night. Unaware of the gifts given me that day. Unaware of the shame the media should carry for choosing the value of misery over the power found by our youth. My payday at the end of this night, knowing that our skate park has just as much to offer tomorrow for those who know they can afford to dream. Wopila Tanka Andrew, great story. 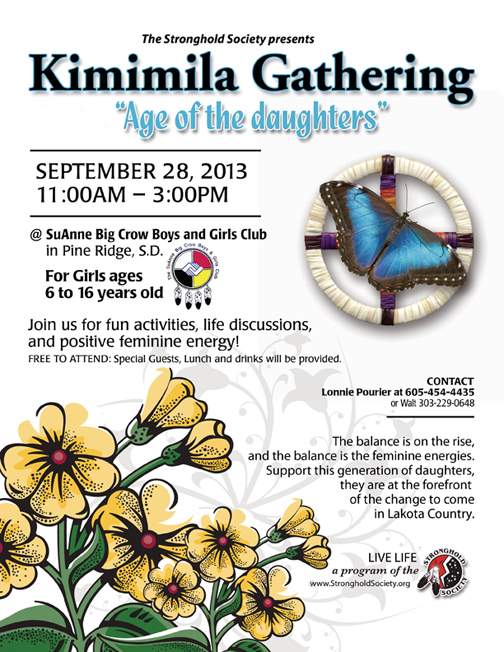 The Stronghold Society appreciates all you do for native country…. you captured the moment to what becomes a series of moments… together we are creating a positive movement. WE will be launching a KICKSTARTER Campaign very soon to gain support on finishing the PIne Ridge WK4-Directions TEB Skatepark… details to come. Then we move onwards and begin more Skatepark projects via our ROCKERZ 4REZskateparks program. Please share and help us to gain more support for our LIVE LIFE Call To Actions Campaigns. Click the button and DONATE TODAY. wopila tanka. On behalf of the Stronghold Society, we would like thank all our sponsors, volunteers and supporters. The event was a huge success and attracted thousands of attendees including hundreds of Native youth from 6 different states, 200+ skate competitors, 30+ vendors, over 60 volunteers, and 7 local bands donating their time….. We couldn’t have done it without you! Thanks to Dre Tzortzis, Leon Roker, Danny Lee, Jay Hanna, and Wounded Knee Skateboards and everyone else who made this possible. This is a touching and beautifully told story of what took place and what is to come for Lakota Country and Native America…. building skateparks for our youth. Please share and help us gain more support. we thank you with all our hearts. Our Stronghold Society Executive Director, Walt Pourier was given the opportunity to reach hundreds and hundreds of people as the Artist in Residence at the Denver Art Museum about our Stronghold Society Live Life Call To Action Campaigns… “It has been a gift. Honored, humbled… stoked beyond belief.” – Huge for us, wopila tanka to the DAM staff Nancy, John, Heather, Jodie, etc… for this opportunity. And to RMPBS’s Arts District Program, Lisa Olken for covering this story… it has been an awesome 3 months of outreach… thanks for helping to draw more people to our DONATE button. For us it truly is all about our youth… the more we can do for them, the better! 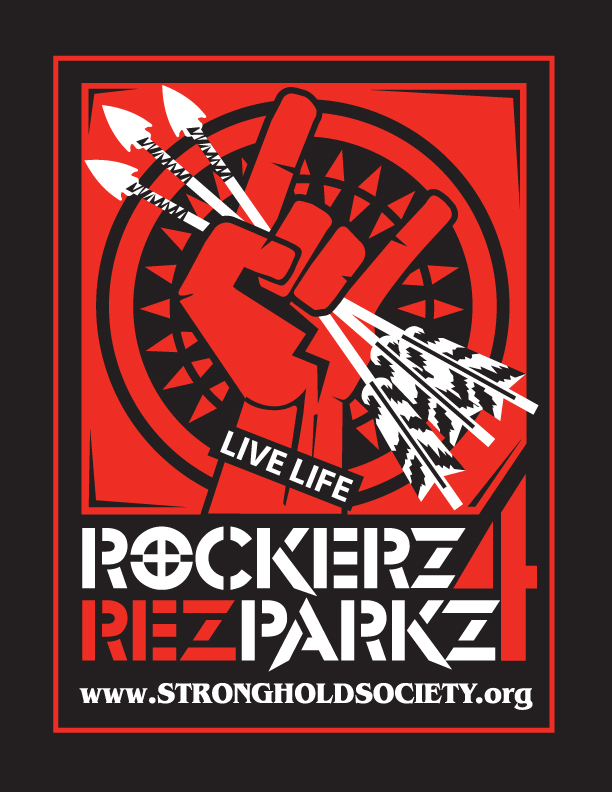 The Stronghold Society’s Rockers4REZparks program was created to give the music industry a unique opportunity to help support our nonprofit efforts in building world class skateparks on Native American Reservations across this country where native youth are facing many hardships, by supporting this Live Life Call to Action Campaign, you will help encourage youth to find hope and ambition to live a healthy life in mind, body and spirit. Skateboarding has many benefits: it builds self-confidence and self-esteem; encourages individuality and creativity; teaches social skills and respect for others; and brings communities together. 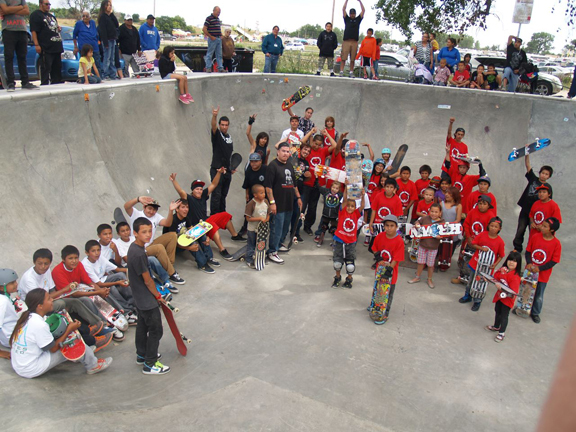 We successfully built our first skatepark on the Pine Ridge (Oglala Lakota) Reservation in South Dakota with the help of Jeff Ament and Pearl Jam, VANs Off The Wall and the Tony Hawk Foundation and 2 of the THF Board Members, Chris Saaca and Ben Harper. WE have many more to build across Native Country… check it out SUPPORT SUPPORT OUR PROGRAMS to make a difference in the lives of another! Please call or email to see how you can support this Stronghold Society outreach effort. This network of “like-minds” grows more powerful by the day… connecting the dots. 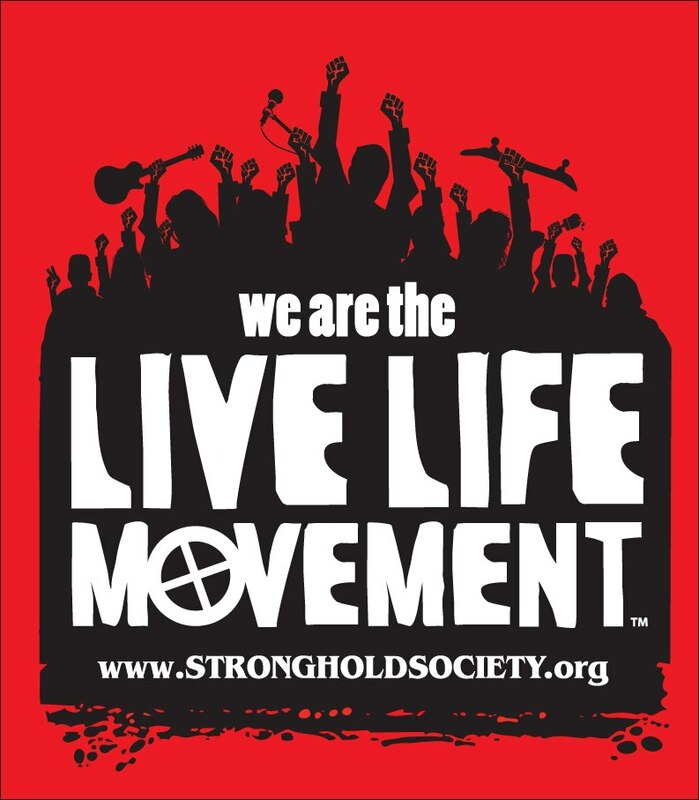 Stronghold Society Live Life Call To Action Campaigns… “You Thrive, I Thrive, WE Thrive! !” … getting it done!! So much NEW things ahead, keep coming back to our site as we will begin to update here weekly! – thank you so much for sharing the website donate button with all your friends and family. It is because of YOU, we can do the things we do. wopila tanka – Walt Pourier – Executive Director. Our awesome sista, Irene Bedard gives a shout out to the Stronghold Society: Indian Country Today Media Network reporter, Vincent Schilling, recently sat down with Inupiat Eskimo actress Irene Bedard while rehearsing for a live Colonial Williamsburg production entitled “The Beloved Woman” in July. My brother Larry T Pourier worked on that production. Isn’t she the best!! we be ROCKIN together!! The Heartbeat of Native Skate Parks: The scrape of skateboard wheels gripping cement and plywood formations that Native boarders just can’t seem to get enough of, captivates the imagination while stretching the possibilities of physics and physical agility. Not only is skating on the Rez and in the city a test of skills, it’s also a path to new discovery and focus. For some, it’s a way to be in line with a healthy life while still enjoying what it means to be young. So just what is the connecting line between culture and skating? How are tribal communities changing the lives of their youth with offering venues for this sport including tribal built skateparks? Guests: Mike Hugues (Shoshone-Bannock) and Walt Pourier (Oglala Lakota)… and Crazy Joe Mesteth Oglala Lakota get ready to rock! !